Sign up for a free catalog of our custom handmade logo mugs. Perfect for your Restaurant! Marketing your restaurant with custom coffee mugs can be an easy way for you to demonstrate your restaurant’s association with quality. Happy guests can take home a custom branded mug to remind them of their great visit and to share their experience with family and friends. Although amazingly uniform, no two mugs are exactly the same–each piece is as unique as your restaurant. Deneen Pottery has partnered with many restaurants to create mugs that represent the high quality and unique flavors and of each establishment. When happy guests purchase a mug, it provides more than just extra revenue, it creates a conversation piece with co-workers and friends so they can easily and frequently share their positive reviews. Below is a list of 25 ways that you can market your restaurant and grow your following with custom mugs. People are always looking to celebrate surrounded by good food, drinks and friends – and who better to provide all of the above than you? To all those restaurateurs out there who are trying to get more diners to their establishment, here are 25 ways you can market your restaurant with customized coffee mugs. One of the simplest ways to get your restaurant in front of an audience that matters is through the power of Facebook. You can create highly-targeted sponsored posts aimed at any group of people that you want. Advertise your coffee mugs, targeting those Facebook users that have coffee-related interests to expose your brand to a new market. 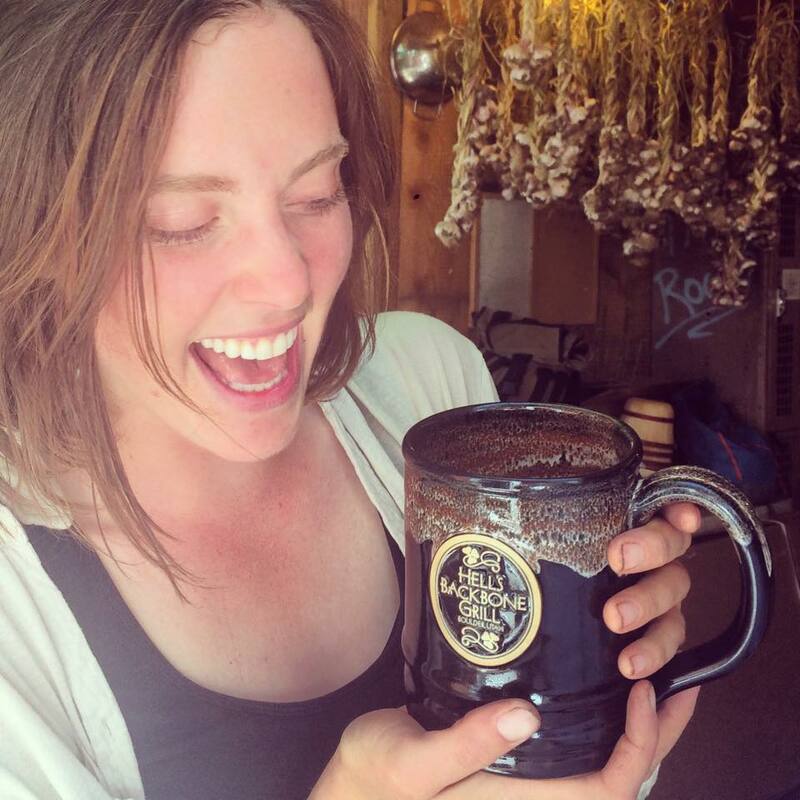 If you want to develop a loyal following, start a mug club. Members can pay to join, and regularly receive rewards for coming in and using their mug. When it comes to eating out, consumers are very picky. If one little thing is wrong, you could be lambasted on review sites or social media. If this happens, don’t fight it – embrace it. There will always be complainers in this type of industry. And while you can’t control people’s attitudes, you can control a potentially bad situation if you respond with a respectful response and some form of compensation, like a mug! Take advantage of sporting events like the Super Bowl, World Series, NBA Finals and the Olympics by ordering custom mugs for the event. You can offer these for sale during the event so patrons can bring home a memory of their favorite team’s big win. Challenge your social media followers to post pictures of them using their branded mugs. Offer a free meal or gift card for those users that get the most likes on their post. Think of a few things that can go along with a mug – coffee beans, hot chocolate mix, candy – put them all together in a basket and position them as a gift opportunity around the holidays. It’s ideal to show up at the top of search engines when people are searching for restaurants on Google. If you’re looking to attract a coffee drinker, for example, you can implement a keyword strategy to target that audience. Add specific keywords (or search terms), such as “coffee mugs for sale” or “best coffee mugs” into the text of your website. When you’ve implemented keywords, you’ll be more likely to show up when people search for terms associated with your offerings. Although you can pretty much expect to be busy on any holiday, the most popular holidays for restaurants include Valentine’s Day, Christmas, Mother’s and Father’s Day. Design a holiday-themed coffee mug that celebrates these special occasions. If you have a traditionally slow night, like a sunday night or tuesday afternoon, try offering a discount for those people that come in to dine, mugs in hand. Position it so the regular customer realizes that the mug pays for itself over time with the amount of discounts they receive. Invite community leaders to your restaurant for a networking event, cocktail hour or themed dinner. Offer coffee mugs as giveaways and ask some of the attendees to share a picture of them using it. When you can gain the endorsement of these people, your community standing is going to rise. There’s no better way to get potential customers to your restaurant than by posting high-quality photos on Instagram. Take advantage of Instagram by posting photos of your mugs in a variety of settings. Loyalty programs are very effective for restaurants to keep their loyal patrons coming back for more. While simple, the punch card is still an effective loyalty program idea and encourages customers to come back to get that free sub, slice or soda once they hit the magic number of punches. Encourage diners to bring in their mug so they can receive a punch on their card every time they use it. Give mugs away to employees and encourage them to use them outside of work. This is a great way to get your restaurant’s name out there. Their friends and family will see the mugs and the employee can open up a conversation about their job and your establishment. While it is important to also use the mugs for customers, employees can sometimes be your best opportunity for self promotion. Opening up a new establishment? When sending out invites for your grand opening, make it stand out by sending an accompanying coffee mug with your logo on it. They’ll be much more likely to return the gesture by attending your event. If you have a local partner or associate that operates a retail store, ask if you can put some of your mugs on their shelves. Along with the mug, place some leave-behinds, like a menu or brochure, so people can find out more about your restaurant. All college students love coffee, right? Appeal to this demographic by canvassing college campuses with a college night. Offer some custom mugs for sale to gain a boost of awareness among a younger generation. 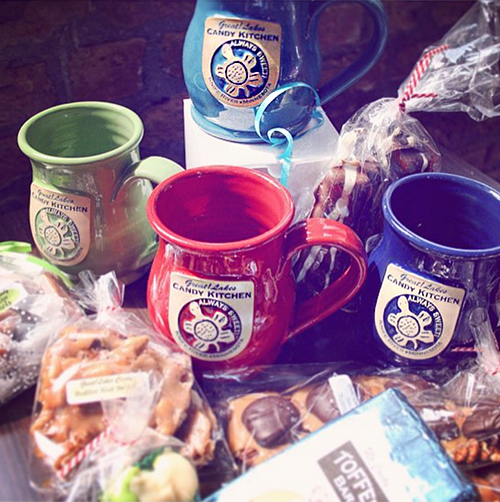 On Facebook, run a contest everyday for 100 days and give away your mugs. Publish a post that encourages users to like your page, and then pick a winner and send them some merchandise. With Google Business, you can add pictures of your restaurant so you’ll show up higher in search results. Compelling images are very effective at convincing searchers to dine at your establishment. A mug can be used in many more ways than just to drink coffee out of. For example, you can use them as a flower pot, a pencil holder for an office desk or decorative items around your home. With this, you’re sure to appeal to those who aren’t coffee lovers. Start a beer of the month program, where you push a certain beer all month long. Advertise your mugs alongside of the program so patrons can have a gorgeous device to enjoy a brew. An email newsletter is a great way to keep your brand at the top of the consumer’s mind. It’s the perfect venue to announce recent menu updates, awards or positive reviews, press mentions, discounts – and of course mugs for sale! Remember, however, that a lot of emails can get annoying, so space them out appropriately. For most restaurants, local is the name of the game. Most folks are looking for good eats close to home, and you’ll get the most value out of your online marketing efforts by investing primarily in geo-targeted ads. Geo-targeting ads through websites like Google, Facebook and Twitter, help you save money, ensuring that only users in certain cities or within a specific radius see that you’re selling custom coffee mugs. While not an overtly popular social media platform, Google Plus is still good for your web presence. Having your restaurant appear in image search results will help expose your restaurant to online audiences. When users post original content that pertains to your mugs or brand, share that on your social media accounts and on your website. User-generated content is a great way to develop personal and intimate engagement with users. 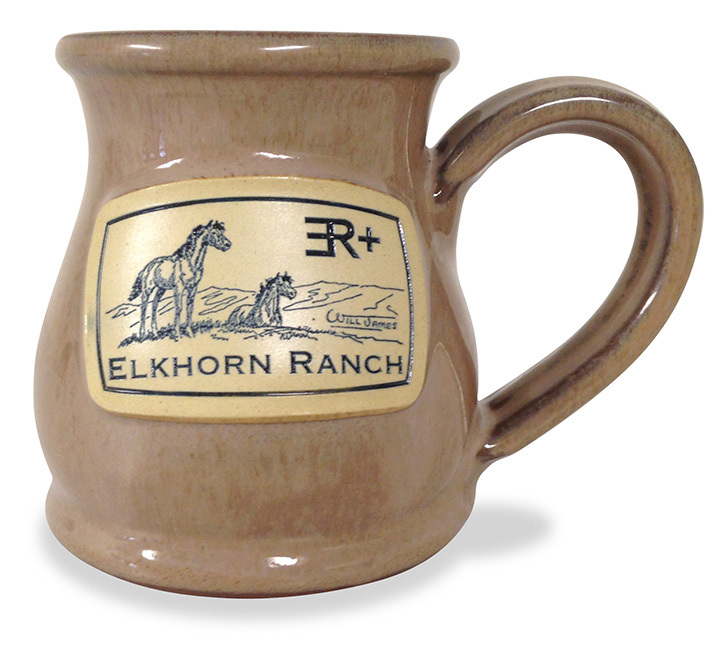 With branded merchandise, like custom coffee mugs, a restaurant patron can take a little piece of you home with them. Whether you want them to be signature pieces at your restaurant, you want to run up some revenue or just want to use them as a marketing tool, custom stoneware will get people talking about your restaurant. Give your patrons a keepsake to remember your restaurant by – something that they will own for years to come. Deneen Pottery offers unique, high-quality mugs that restaurants around the country choose to sell, use and display in their establishment. We’re locally owned and have been serving restaurants for more than three decades. If you’re looking for the best custom coffee mugs in the industry, turn to the experienced craftsmen at Deneen Pottery.